You have a dream. We all have a dream. The question is whether or not we chase that dream. Many times we’re scared to start or don’t know where to start. The truth is though…the hardest part towards reaching your dream is starting. Yup? That’s right.. We said it. The hardest part towards reaching your dream is starting. Now is the dream chase an easy ride? Not at all. The dream chase is intense. There are all sorts of ups and downs. The phrase “blood, sweat and tears”…sorry to scare you, but it’s kind of real. Hopefully you won’t have to experience the “blood” part unless it’s a paper cut! The point is though, the journey can be intense. It’s called a journey for a reason. You can make it anywhere though, no matter where you’re starting. 1) Research on Google to find different articles related to what you want to do. Read, read, read. Then figure out how you can apply that knowledge. 2) Research on Google to look for people in your field. Contact them and kindly ask them if they wouldn’t mind giving you some advice because you’re looking to be in their position one day. Some people will say no and some will gladly give you advice. It doesn’t hurt to ask. 3) When something doesn’t work, sometimes it may just take a small tweak to make it work. And other times it’s best to change course all together. Just make sure that if something isn’t working, you change what’s not working whether it’s making small changes or large changes. Make changes. 4) Be resourceful. You don’t need tons of money or resources to start chasing your dream or to reach your dream. 5) Stay positive. It’s not always easy, but you can do it. 6) Stay focused. Focus is key to success in anything. Make sure you focus in on your goals and work hard to execute them. 7) Be persistent. You may knock on 20 doors and the first 19 doors don’t answer or say no to whatever you’re trying to obtain…the 20th may be the door that actually opens and leads you where you need to be. Founder of EverythingStartedAsNothing.com is a serial entrepreneur named Ben Weissenstein. He’s started and grown a few businesses – Grand Slam Garage Sales & The Entitled Group among other ventures and has been an entrepreneur since age 4 if not earlier. (Learn more about Ben Weissenstein.) He isn’t some huge success story yet, although he’s on his way and has been able to reach some real success thus-far. Ben created the quote “Everything Started As Nothing” as that’s what he has always felt. The fact is, “Everything Started As Nothing”. This website (www.EverythingStartedAsNothing.com) was created to help motivate people to chase their dreams. It really doesn’t matter what your dream is. If you’re an entrepreneur – cool. If you’re studying to become a teacher – cool. It doesn’t matter what your dream is. You have a dream. Chase that dream. By the way, we’re also selling some pretty snazzy soft glorious t-shirts and other products as well. The shirts really are crazy soft and we put in an Everything Started As Nothing kind of effort to make sure the designs are designs you will be proud to put on. Want more motivation? 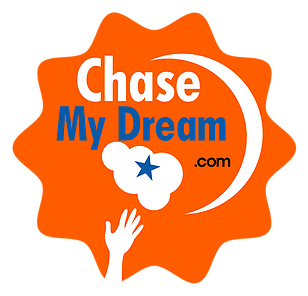 Be sure to check out our other site, ChaseMyDream.com. Want to do good and get a discount when you purchase from us? Learn more.